Seven years after TSP designed an education wing from grades 6 through 12 attending Pocahontas Area Community Schools, we have returned to add a series of classrooms. The new small-group-supported spaces will be used by middle-school students and is attached to that portion of the combination high school and middle school. First, however, we performed a study that found the assumed location did not meet the school district’s needs as well as an alternate site would. 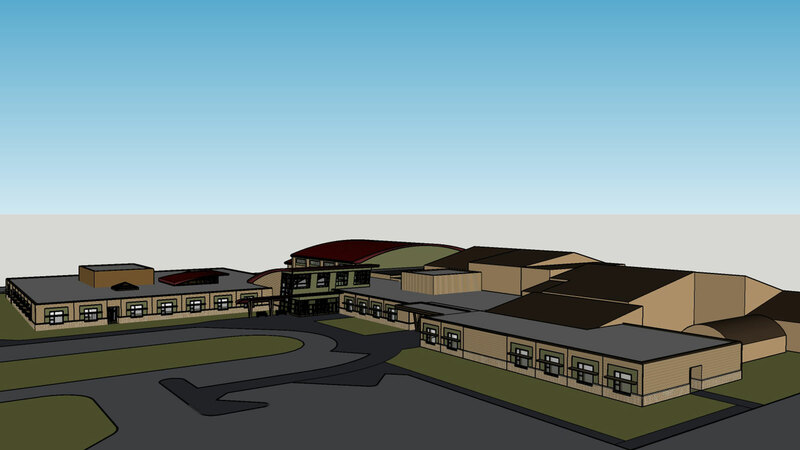 The option TSP suggested actually allowed the District to obtain the classrooms they needed quickly without forcing a decision about future gymnasium needs before all considerations were identified, giving the School District increased flexibility in the building’s future. In the new addition, five classrooms including a special-education room and an oversized flexible classroom space were designed and placed next to an existing music. To eliminate the sound of voices singing and instruments playing from penetrating the classroom, TSP built an adjacent wall and filled the cavity with sand to stop the transmission of sound. An oversized vestibule was divided to provide a hallway that connects with the new classroom suite.